No, wait a minute. Telemetry, I love it. I am sure we have all been there. If you are a pumper in today’s world of pumping, you should know about telemetry. 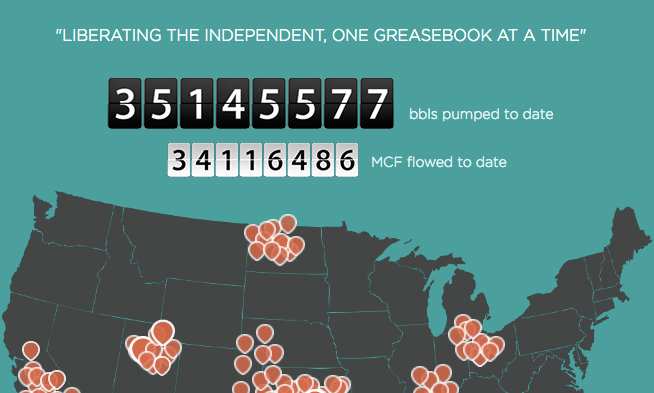 For those who don’t know about it, the systems are computerized measurement systems that a pumper can call or log into on a computer to get information about one of their wells. The systems, which are all different in what they offer you, can tell a pumper everything from how many MCF of gas a well has produced to static pressure, to accumulated pressure and now, there are even stock tank telemetry systems to tell us how many inches of oil or water the well made. I have one thing to say about all of it. Watch out when you begin a close relationship with Telemetry. Because Telemetry is not into commitment. To be sure, it is a great tool. I use it as a basic source of information. But I do not allow it to replace my presence at the wellhead. Look, I am not the super-pumper of the world. I make mistakes and every so often take shortcuts – for which the oilfield gods promptly smack me down. Which is why I have learned the hard way; machines made to measure oilfield production, are not perfect. We should see them as a good backup to the pumper, not the pumper being a good backup to the machine. Recently I was having a conversation with a friend of mine JW, who is a young guy in the oilfield. We were talking about how hard it is to stay in shape when you are working as a pumper. We all have so many wells and it is easy to literally speed from one well to the next, only getting out long enough to do what you absolutely must. Between that and the fast food or more than likely, quick-stop hot dogs that we consume to get us through the day, we can put on some weight. “When you run up your tanks to gauge them, simply run up the steps and down them twice,” I said. He said only this, “We have telemetry.” I’m like, ‘Okay?” He told me that the company he worked for didn’t like them climbing tanks that often. “It’s a safety thing” he said. Well, I don’t know about all that or how old the telemetry is on his route. But I told him I would gauge more tanks more often. I have had tanks on which the telemetry was so badly calibrated that it thought it should have 10 feet of oil in it and it only had 3 feet. The bottom line here is, pumpers need to know what’s really in the tank. Because when you go and try to correct this kind of thing after having the wells for a while, leadership kinda narrows their eyes at you and say things like “You’re missing oil?” This is always the beginning of what you know will be a bad week of explaining where 7 feet of oil went. You get the picture. Verify your telemetry. That’s my message. And, never, but never count on it to hide your misdeeds in the field. See, the systems, like computerized anything, can tempt us all to roll the dice – take a bet on the computer system. But remember what I said, Telemetry is not your lover. It’s not committed to you. In fact, it’s like having a friend who gossips. Okay, so here comes my telemetry nightmare story. You knew it was coming, right? While working for Chaparral Energy, we had telemetry on all of our tanks. We had systems that measured when the oil got to a certain level at our wellhead site tanks on individual wells. This signaled our pumps to go on and kick the oil into a central line, which ostensibly carried it to the central battery. But of course at the central battery, the only place that oil could go, since that was the end of the production line, was away in a truck. If a tank got too high or was close to overrunning, that’s where telemetry came in and the system would call me on the phone. Now, most of the time, this system worked. But sometimes, if you didn’t take the time to climb your tank, you had a system that got gummed up by the oil and, yep, you guessed it, there were oil overruns. Not a lot of them, but they happened. The tank had 14 feet in it and the telemetry thought it was only 11 feet. There were four of us pumpers for the large field we pumped. It was a CO2 and water flood field, which had approximately 150 wellheads, including injection well heads. We had this huge central battery, where all of the workings of this field took place, including water and CO2 recollection and re-injection. 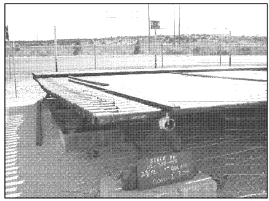 This battery had three 3,000 barrel stock tanks. That is how much oil we were making on this field and all of it flowed freely to those huge tanks. They filled up fast and those tanks were hauled daily and sometimes more. So, if you’re a pumper, you get it. There was a lot of critical activity going on at this central battery. Now, because that central battery was so intense, we all shared call. Each of us had 24 hour on-call status in addition to our day job pumping our wells. Call lasted for eight days and you were on call about every three weeks. The whole battery was set up on telemetry and believe me, telemetry knew my phone number. My phone rang when a compressor went down. My phone rang when an injection pump failed and my phone rang, most importantly, when one of the three 3,000 barrel tanks was about two feet from overrunning. Of all things on that battery that called me, high level alarms were what got me springing out of bed, jumping into my truck and racing down there to avoid an oil spill. If all goes right, which doesn’t happen often but it can happen, you don’t hear from your phone. When it goes wrong, God help you. You might as well kick back in your pickup seat and just remain at the battery, because your phone is going to be calling you all night. Oh, did I mention, if I failed to answer and respond by punching some numbers into my phone, the system called my boss Chad. I had been on call for about three of my eight days and things had been quiet. The weather, which always determines how much trouble you will have in the oilfield as a pumper, had been nice that week and there had been no problems for three days. I was in the fantasy oil bubble. The thing is, I lived 82 miles from the field where I pumped wells and so when I had call, I stayed over night in a travel trailer I rented in Perryton. But my boyfriend was not happy about my work away and so I decided, late one evening, to make a quick trip to see him to smooth over some of his ruffled feathers over my career choice. All was good on the trip to Lavern. I saw my boyfriend, calmed him down a little and we talked. I napped for about 30 minutes and began the 82 mile trip back. On the way however, there are low dips in the highway where there is no phone signal and I had missed a call from one of my oil stock tanks that was reporting a high oil level. I was still out by about 45 minutes. I failed to mention that I was on my way and would get there in about one hour. I was just praying that this tank did not overflow. If it did, it would be my job. Now at that time, I’ve got ol’ Greenie pegged out at like 90 miles per hour. Greenie is an old 1993 Ford F150 and he wasn’t used to such speeds. And once again, I get a call from that system telling me again, in what I swore was an irritated tone, that we are at a high level on that tank and it is likely going to run over any second. It doesn’t say this – I’m ad-libbing. It is a computer voice…but I sense that it hates me now and knows I am a sorry, no-good slacker for a pumper. I don’t need to mention here that I was in a screeching panic. I called a friend there, John, who lived in Perryton. He had his own private wells and I knew he would probably help me out. I just hammered down on Ol’ Greenie even harder. I swear I made corners on two wheels, ran over a median in the highway when I was making fast turns, bumped down a dangerously washboardy dirt road and finally pulled in there to the battery. I was so relieved to see that the oil had not begun dribbling over the top of the tanks. I jumped out and ran like a runaway horse to the back of the tanks where the equalizer valves were, I opened a valve to equalize the nearly full tank with the one next to it. I sprinted back up to the top of the tank and looked in and low and behold, the thing had a whole three more feet before it would have run over. According to the telemetry that had called me, it was like inches from the top. In this case, the inaccurate telemetry saved me. Yet, it could have been the other way and I would have been likely fired. All that to say, telemetry is all good and fine. But there is nothing more important than good old physical presence to verify it. I never tried that stupidity again – I tried some other stupidity, but not that one. P.S. I did finally come clean about all this to Chad, who by the way was one of the best bosses I ever had in the oil field. He just laughed. When I was pumping full-time, I had opportunities to listen to all kinds of different radio programs. One of them I heard once was a talk from Tony Robbins. Think what you want about the man. You don’t have to like someone to hear something they say that inspires you to reach deeper. Greetings GreaseBookers. I wanted to talk about something that I feel is at the heart of not just how we do our jobs as pumpers, but also really defines WHO we are as well. What this quote above means for me is to stop giving myself a way out of fighting through something and keep doing it like I have to actually “live on this island” so-to-speak. What does this have to do with the oilfield? If you work as a pumper, a driller and even a company man or an owner of a drilling or production company, this statement defines the very foundation of what it is to have intent and then to follow through with that intent. When I was pumping wells in Perryton, Texas for Chaparral, I used to get up in the morning early to get my pricey, fru-fru coffee. Shortly after moving there to my temporary travel trailer, I found a little coffee shop on the main highway that runs through there. The woman who had opened it seemed pleasant enough and the coffee was good. But what I found with this shop was that some days she just decided not to come to work and so I would drive there and be really irritated because she would be closed. “Well, actually, what you have to do to create a good cup of coffee is to be open,” I said. I never went back. Again, what does this have to do with the oilfield? We have to show up in our jobs. And when I say show up, I mean fully, mentally present for duty with the full intent to restart difficult pumping unit and compressor engines or to figure out why our separator is swamping everything. We have to be willing to remain on a location until the problem is fixed. We have to do this in a way that we would if we owned the oil well. That’s what the quote means. 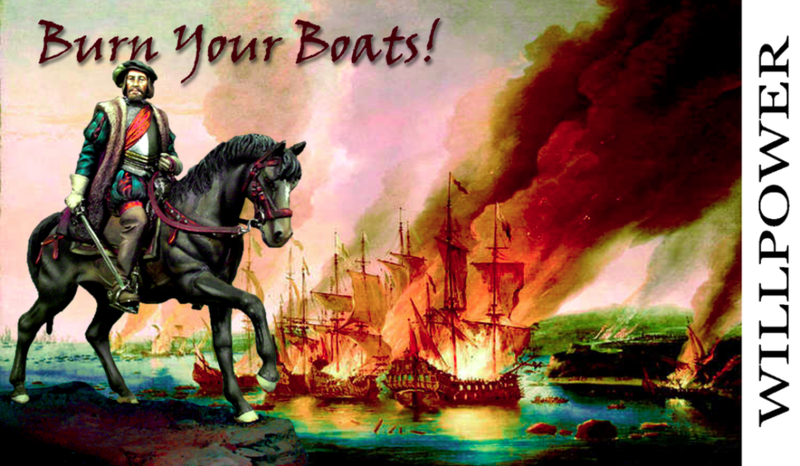 “If you’re going to take the island, you have to burn the boats”. The boats, for the purpose of this quote, represent excuses, ways to get away again from what you thought you wanted, ways to discharge responsibility for what you should be achieving. Too often I meet folks who take a longing glance at the pumping job and think they want it. Then, within weeks, they are skipping wells and avoiding really working on them, which it required if you are really a true pumper. What’s Robbins is saying is, if your goal is to conquer and own the island then burn the boats that allow you to escape and keep working at it like your life depends on it. I agreed with her and told her I had begun paying attention to that concept as well. I would tweak something on an engine, and try it. Tweak it again and try it again. If that didn’t work I would try another approach. And then finally I would hit on the combination that worked. And on average, I tried five to seven times before finding the problem or hitting on a solution. I have asked several other pumpers about how much time they put on their well locations. Many try once or twice and if it won’t work, they call the company man or the mechanic. Often, I would discuss the mechanic’s work day and he would express frustration about what he would find when he was called out to start an engine that according to the pumper, “Just wouldn’t start”. When we do our jobs in this way where others must come behind us, it creates in others around us the same feelings I had with the woman who thought she wanted a coffee shop until she realized she would actually have to run it. Make no mistake about it GreaseBookers, even if you think you are getting by with these tricks and smoke screens, everyone knows what kind of pumper you are. Because, and I’m saying this metaphorically, the natives are still running your island. I think pumpers need to ask themselves how they are applying themselves. I think half-assing or cheating your wells cheats you. Because at the end of the day you will take that same attitude into the “islands” of other life pursuits and you will always have your boats standing by and ready to allow you to NOT succeed. With the amount of paperwork that is required around the lease, it can sometimes seem like pumpers are actually bookkeepers who spend a lot of time outside. Just about everything that is done around a lease ends up getting noted down and recorded somewhere. It’s all important stuff and is used frequently to make important decisions about equipment and production schedules. While on many leases records are kept on electronically, not every well has a high enough production to warrant those kind of upgrades. Paper records are therefore still fairly common. In either case, the same measurements are required. 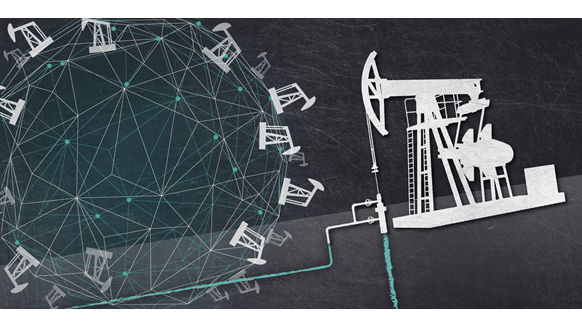 Oil production is often where most of the attention goes, and rightfully so; that’s what drives the business and provides the income that pays for everything else. Production records can also be used to diagnose problems, prevent problems before they get serious, and see some issues coming so they can be avoided entirely. Having the production records at hand can often answer a number of on-the-spot questions. Consumption of chemicals: It’s difficult to express chemical consumption in a simple dollar amount. Chemicals can be added to oil that’s not sold until the next month. That means the cost of chemicals consumed can’t be compared directly to the oil sold. However, comparing to the average daily production gives a workable estimate. Supply expenses: Some companies will allow pumpers to spend a certain amount without needing approval, as long as it’s recorded. For larger purchases, there is usually an approval process that requires paperwork. Time sheets: Recording the hours you worked is obviously important if you want to get paid. Time sheets are kept both for company employees. There is also usually some sort of time keeping paperwork for contract labor. Pumpers working for the company may sometimes need to confirm the amount of work down by contract labor; accuracy is always important. Other records may include readings for all meters, vehicle mileage and fuel, and details of spills and other problems around the lease. Production amounts will often be sent to the leasing company’s office over the phone or by electronic means. Paper records are also required in many cases. 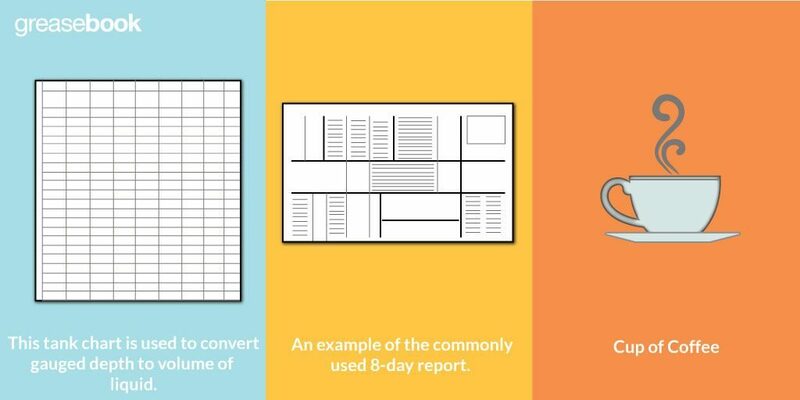 In the past, 7-day production reports were common, but have been replaced by 8-day reports or even mobile apps like the GreaseBook to save on paperwork a bit. Monthly reports are also required to give an overview of production. Figure 1. An example of the commonly used 8-day report. The 8-day report is a daily record of production that also shows the results of well tests, lists problems, and other information. It can be helpful to consult it each day to have a reference to compare the day’s production against. The report should always be double checked before it’s submitted, as it’s important that it is accurate. 8-day reports are usually submitted on the 1st, 9th, 17th, and 25th of each month. Gas production is usually tracked and reported automatically by a meter, so it’s usually not part of the daily report. Gas production will usually be measured as part of the monthly well tests, however, when a chart record may need to be made. Production is also recorded in the monthly tank battery production record. The total production of oil, water, and gas for the month is listed. It is then divided by the number of days to give a daily average. Comparing daily averages from month to month is a good way to get a sense of production changes over time. Figure 2. This tank chart is used to convert gauged depth to volume of liquid. The tank is cone-bottomed and contains 3.83 brls of oil. The tests are done on the same day each month. When a single well feeds to a single battery, one day can be the monthly ‘test day,’ when the well and battery can be tested. These figures are usually recorded on custom tables made for each well. The sheet will usually record the lease, well number, the date, how long the well was produced, and the amount of oil produced. Other details are recorded according to the needs of the particular well. As a rule, it’s better to include too much information than not enough. Is your appetite for oil & gas operating knowledge insatiable like ours? 😀 If so, check out these related articles: The Basics Of Keeping Records For Oil & Gas Production, Well Records For Oil & Gas Production and, Tracking Inventory In Oil & Gas Production – they’ll be sure to pump you up!!! Well records provide a history of a well, its equipment, and what it has produced. With a full set of well records in hand, it’s often possible to make rough predictions about how a well will act in the future, when equipment will need to be replaced, and how to best operate the well. That makes accurate and up-to-date well records essential. While the official records will usually be maintained by the producing company, it can be helpful to get a general idea of the information contained within the well records and how it can be used. While the official records will be kept by the producing company, it’s usually a good idea for the pumper working a well to keep a record of their own (or make things simple for your whole team and check out the GreaseBook oil and gas production reporting software app for your smart phone…) Together with regular visits, these records can be used to get a unique feel for what’s happening with a well. It’s also usually possible to get a look at the official records of the well you work on, for a fuller look at its history and behavior. 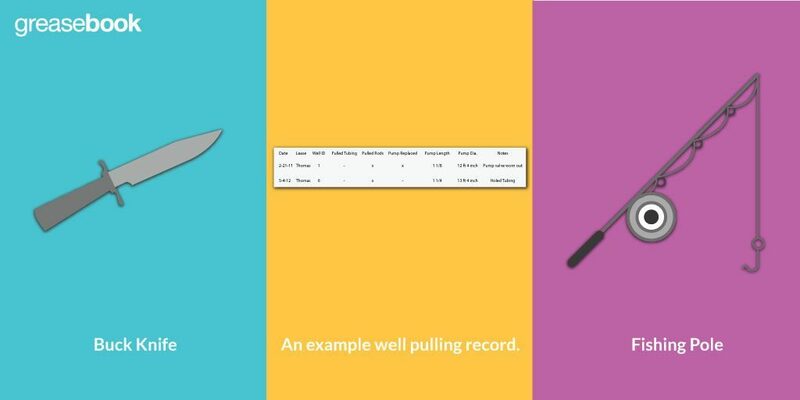 An example well pulling record. It’s rare that a pumper is involved with the drilling of a well. 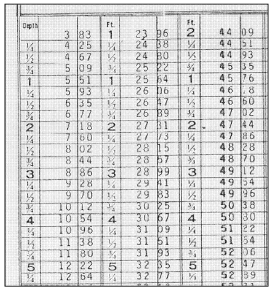 Looking at drilling records can be helpful, however, as it helps to see how a well has changed over time. The drilling record will contain information about the well’s completion, as well as the volumes of oil, water, and gas produced. It will also provide basic information about the well, such as the depth and diameter of the casing, and specifics about casing perforations. It will also be updated with any changes made to the well that could affect production. 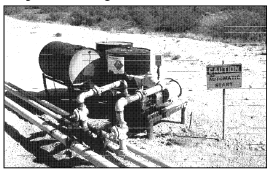 Information about the wellhead and pumping unit may be critical in many situations. These records will contain information like the manufacturer of the pumping unit and records of service. It will also contain some information that can be helpful in day-to-day operations, such as the direction of the pumping unit’s rotation, stroke length, strokes per minute, and more. Wellhead records will provide information about all the wellhead equipment and components that are visible, and which a pumper may have to service or monitor. 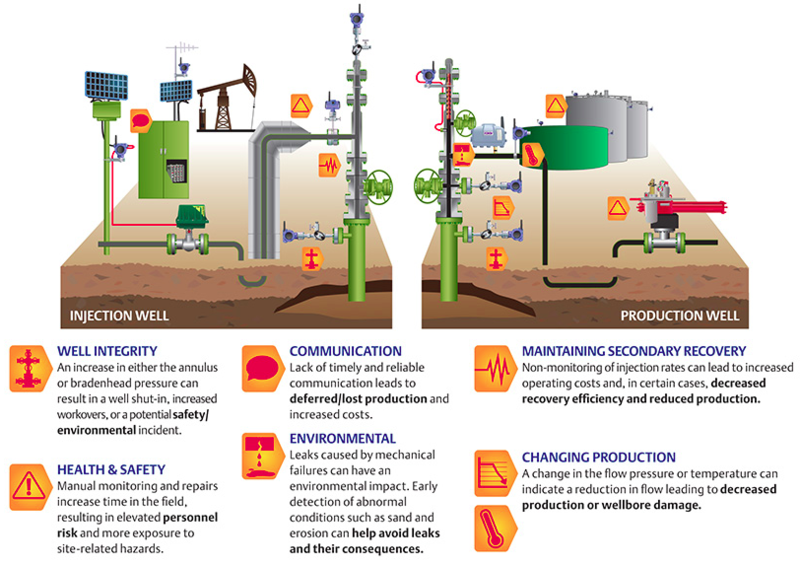 Wellhead problems tend to be emergencies, and it’s usually helpful to have the necessary information at hand and easily accessible. Pulling tubing or rods and other maintenance involving the wellhead can often be expensive and have an impact on production. The wellhead records will include information such as the length of polished rods and the size of the rod liner, sizes for various gaskets used, stuffing and packing information, and details on other components. Careful casing and tubing records are essential, as the diameter of the casing and tubing string will affect every piece of equipment in one way or another. The height of casing perforations will also affect the placement of tubing perforations, and therefore the length of the rod string. Most companies will have specific policies regarding the placement of the tubing perforations relative to the casing perforations. The number and placement of perforations can also be important information. If the well is ever worked over and the casing perforations are changed, that information will also be recorded in the casing records. Detailed information about the tubing string will be found in the tubing records. These records will list the length of every joint of tubing as well as the quality of the joints. It will also list information about hold downs that may be used with the tubing string, including how to release them. Details about packers used with the string will also be listed in the tubing records. 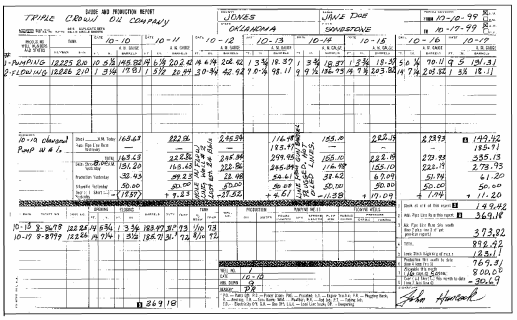 A pumper will most often have to update the description and count of the tubing string and maintenance records. Those records should be exact. Each joint should be listed in the order it is run into the whole. Once the tubing string has been run downhole, the tubing joints will need to be listed in reverse order. In other words, they need to be listed from the top down so that they can be tracked as the string is pulled in the future. There’s a couple of different ways to measure tubing joints. It’s likely that the pumping company has a particular method that they’ll want to use consistently across all wells. Tubing joints can be measured including the threading, not including the threading, or from the top of one collar to the next. The last method is the most accurate, but the joint does have to be lifted off the slips in order for it to be measured that way. The threading of a joint is about 1 ½ inches long, and most often joints are measured with the threads included. If either of the first two methods are used, the difference is fairly easy to figure out. For example, if the joints are measured including threading and there are 100 joints in the well, the tubing perforations will actually be 15 feet higher than the calculated length. The tubing records will also contain details about a holddown at the bottom of the tubing string. Tubing strings might have a holddown at the bottom to reduce the amount of ‘breathing,’ or stretching and contracting. Tubing strings can have tens of thousands of pounds of pressure on them, which is important to know before attempting to pull the string. Sucker rods are in just a few standard lengths, of 25 ft, 35 ft, and 37 ½ ft. That makes recording specifics about the rod string a little bit easier than it is to describe a tubing string. You can simply write down the number of each length in the order they were sent into the hole. Rods will generally stretch after some use, so the recorded length is only an approximation in any case. The rod string records will also record specifics of the downhole pump. The length of the new pump’s stroke is recorded and compared to the old pump. Recording the date of each pump replacement is obviously important; among other things it can be used to predict when a new pump will be needed. Keeping track of a pump’s life can also help rule out some problems; if the pump usually lasts for a few years and it was just replaced a few months ago, it’s not likely to be the cause of current production problems. A good record can also help identify chronic problems that can be addressed, extending the life of the pump and other components. Information about the electrical systems around the lease may have their own records, or they may be included with the motor or prime mover they’re associated with. It’s usually a good idea to record as much detail about fuses, motors, and control boxes as possible, particularly if you’re not too knowledgeable about electrical systems or automation. 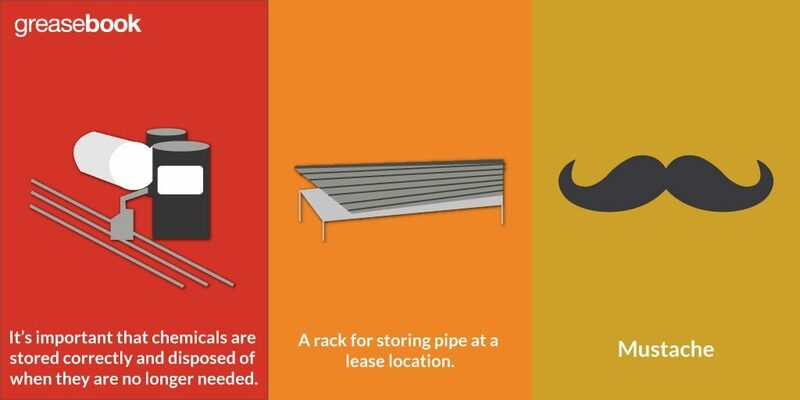 Those are usually worked on by specialists, but it can usually be helpful to be able to provide them with some basic information before they arrive on site. That information can include fuse ratings and size, types of time clock, safety breakers, and style of control box. Is your appetite for oil & gas operating knowledge insatiable like ours? 😀 If so, check out these related articles: The Basics Of Keeping Records For Oil & Gas Production, Operational Records For Oil & Gas Production Wells and, Tracking Inventory In Oil & Gas Production – they’ll be sure to pump you up!! !